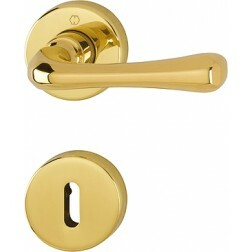 Interior door handle Hoppe Valencia series on round rose. 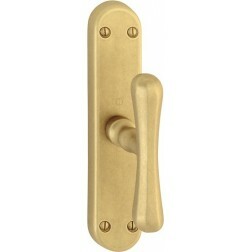 Particular door Handle manufactured by renowned company Hoppe. Particularly handgrip very similar to some antique models. Finishing available from the classic polished brass up to the ancient colors (Antiqua). The handles in question will be sent in pairs, with rosettes, escutcheons and mounting kit.